The Rundown: Hannah Georgas is a singer/songwriter based Vancouver, British Columbia, Canada, originally from Newmarket, Ontario. Her music is a mix of Folk, Indie Rock, and Pop. In 2008 she recorded several song demos at a friend’s recording studio. 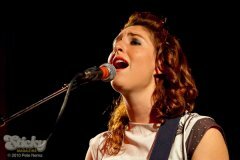 Garnering a lot of attention from local musicians and radio stations when she released her debut EP, “The Beat Stuff” (2008), CBC Radio 3 named Hannah Georgas the 2009 Bucky Award for Best New Artist. After a New York show in 2009, Wal-Mart realized her potential and asked her to write a song for their commercial. The song she came up with was “A Place Called Home“. 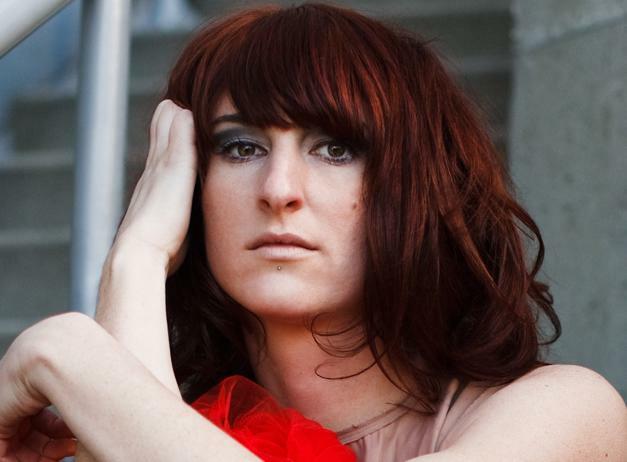 In April of 2010, Hannah released her full-length album, “This is Good” and was nominated for Best New Artist of the Year at the 2011 Juno Awards. Clearly, people are beginning to see that Hannah is an extremely talented singer/songwriter. Her lyrics are concise, her passion is clearly evident, and most importantly, you can see and hear that she is having fun. She has some good songs to listen to, like “The Beat Stuff” and “A Place Called Home“, but my favorite is “Thick Skin” (even if it didn’t have a video). “Thick Skin” is a pretty simple song; just a little plucking on a couple strings from an acoustic guitar, accompanied by a sad and drawn out violin, which is then joined by a deep, intense bass drum with a little snare. A piano is then added in for additional song dynamics. Hannah sings as if she is quite sad in this song – almost shyly. It is a rather short song, but still quite intense. The video is pretty good too, if you happen to be a fan of beautiful women crawling around naked in the mud. MarsBands.com thinks the world of Hannah Georgas. She is a great addition to our list of awesome bands.